The whale shark is the largest shark. It has a large flat head. They are a grey, blue or brown with a white or cream colored underbody and vertical and horizontal lines of cream or white that create a checkerboard appearance with round spots in the squares looking like a checkerboard ready to play. 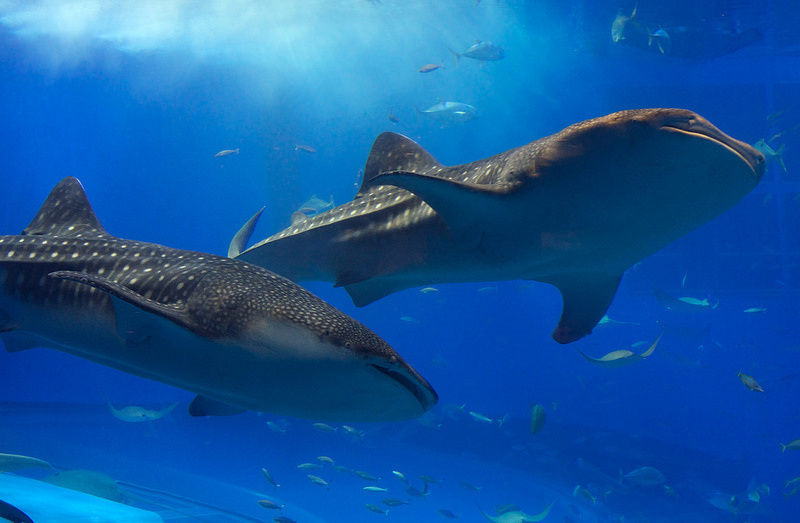 The whale shark has five large, vertical gill slits. 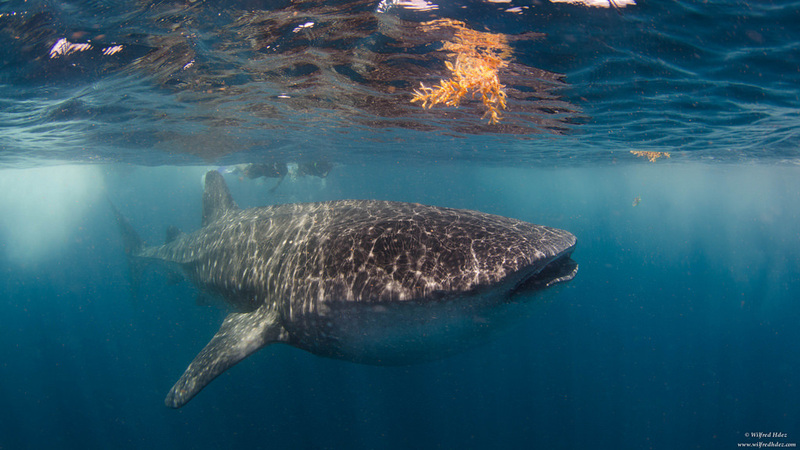 * The whale shark ways over 20 tons! ​*It can open it's mouth 5 feet wide.